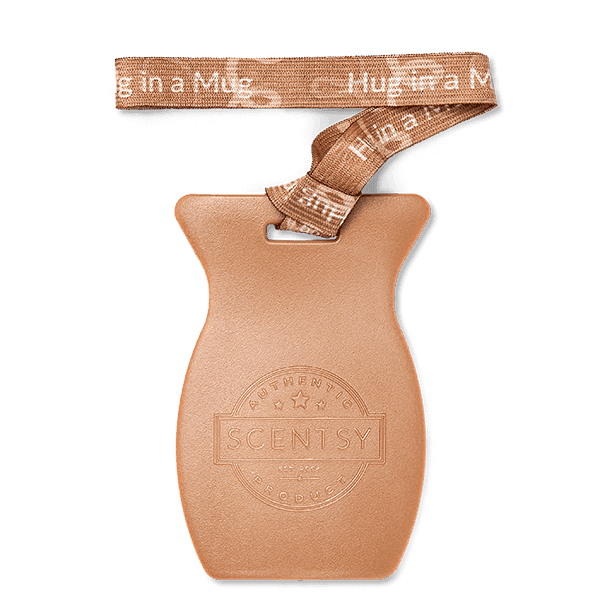 Scentsy Hug in a Mug Car Bar – CHOCOLATE, HAZELNUT and COOKIE DOUGH. Designed to mimic our Scentsy Bar’s classic curve shape, Car Bars deliver fragrance that lasts. As if the shape wasn’t cute enough, the ribbon is embellished with the fragrance name! embellished with the fragrance name!